I just found this special offer from a Spanish Wholesaler who takes over the liquidation proces of jewellery stores world wide. 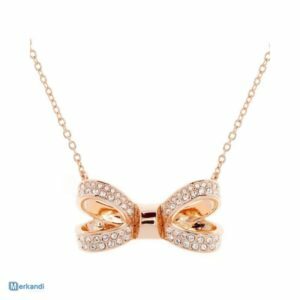 The seller has the best selection of jewellery, necklaces, rings, earrings, bracelets, rings, pashminas, scarves, hats, bags and the latest fashion trends at the best price for your business. In his offer I found steel jewellery sets like Necklace and earrings all packed in a nice case. He offers more than 50 models which is really a lot. 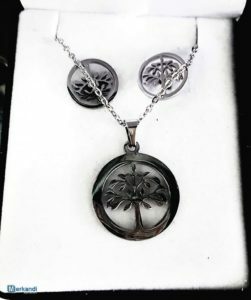 The seller has jewellery made of various materials like premium steel and of course he offers us all kinds of modern designs for example this seasons well known tree of life, the infinity sign, moon, pearl zirconite or the hand of Fatima and many more. The best thing is that the wholesaler not only owns jewellery he also offers us a large amount of pashminas, bags, scarves, hats, rings, earrings, bracelets and all best fashion trends at a really nice price. Each of these goods is perfect as a gift, thanks to that it comes nicely packed with attention to details. If you are interested in buying the prices will surely be favourable for you ! It’s only 3 Euro per piece! If you are interested and want to have more details. Click here!